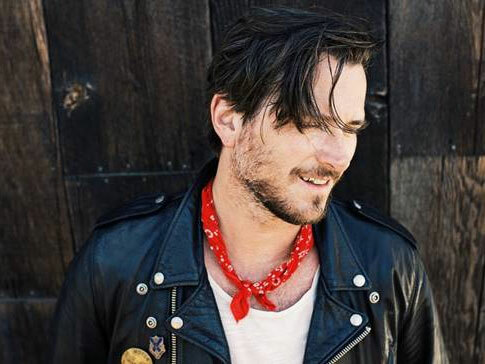 Butch Walker is a singer, songwriter, and producer whose skills run from radio-friendly pop to high-attitude hard rock. Walker launched his public career with the band Southgang, who inked a contract with Virgin Records. The hard rock band group released two albums before splitting up, and Walker eventually resurfaced with MARVELOUS 3. Walker gained a brief taste of major-label success during the '80s and '90s - particularly with marvelous 3, whose single ''Freak of the Week" became a modern rock hit in 1999 - Walker traded his bandmates for a solo career. Meanwhile, he also established himself as an in-demand producer by working with high-profile artists like Avril Lavigne, Katy Perry, and P!nk. The production work increased his reputation within the industry, and he quickly signed a solo contract with Arista. Left of Self Centered marked his solo debut in 2002; embodying the singer's nonconformist attitude and playful rock & roll swagger. This was followed by 2004's Letters which was released on Epic! The production work kept rolling in and was at the helm for some for such big-name artists as Avril Lavigne (Under My Skin), P!nk (I'm Not Dead), and Tommy Lee (Tommyland: The Ride). The experience further boosted his industry profile and helped shape the sound of his next solo album, 2006's The Rise and Fall of Butch Walker and the Let's-Go-Out-Tonites. The album spun stories of drugged-out starlets, struggling wannabes, late-night adventures, and wild parties in L.A.; it was also Walker's most fully realized record to date. Ever the multitasker, he returned to the production booth for several new projects -- most notably Katy Perry's One of the Boys, which became a smash success during the summer of 2008 -- before returning to his solo career that fall with Sycamore Meadows. After producing the solo debut for Gaslight Anthem leader Brian Fallon Painkillers, Walker returned to the studio to cut another solo effort, the country-accented 2016 effort Stay Gold. Walker is also an incredible songwriter and many of his songs have been hits for other artists, including Avril Lavigne, Sevendust, Injected, The Donnas, Hot Hot Heat, American Hi-Fi, Default, Gob, Midtown, Puffy AmiYumi, Pete Yorn, Fall Out Boy, Quietdrive, The All-American Rejects, SR-71, The Academy Is... and recently The Cab, Saosin, Never Shout Never, Weezer, Dashboard Confessional and All Time Low. This is one show not to be missed. A master singer and songwriter performing songs that span his illustrious career.